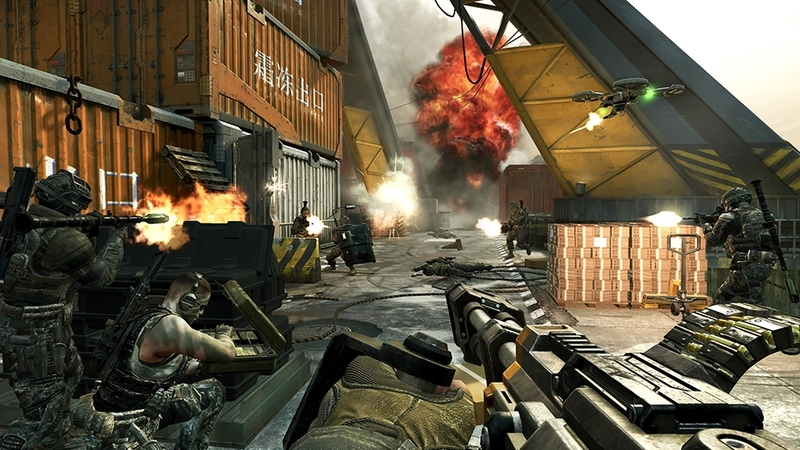 The Games on Demand version supports English Pushing the boundaries of what fans have come to expect from the record-setting entertainment franchise, Call of Duty®: Black Ops II propels players into a near future, 21st Century Cold War, where technology and weapons have converged to create a new generation of warfare. Pre-order today. Download the manual for this game by locating the game on http://marketplace.xbox.com and selecting “See Game Manual". Inspired by the glowing out-of-body experience from Mob of the Dead, the Call of Duty®: Black Ops II Afterlife Personalization Pack comes with an ethereal blue glowing weapon skin, three other-worldly reticles, and an all-new Mob of the Dead themed Calling Card. Inspired by the tattooed and metal-studded 1970's UK punk rock scene, the Call of Duty®: Black Ops II UK Punk Personalization Pack comes loaded with a Union Jack-themed weapon skin, three uniquely-shaped reticles, and an all-new themed Calling Card by which your enemies can remember you. The Weaponized 115 Personalization Pack brings the power of Zombies to any Multiplayer match. Pack your weapons with an all-new Call of Duty®: Black Ops II Origins-inspired camo, set of reticles, and undead animated calling card. Dominate any multiplayer shootout with the Dead Man's Hand Personalization Pack. Look like a true gunslinger with a weapon camo covered in card suits, death-dealing reticles, and an all-new animated calling card. Inspired by nature's most lethal predators, the Beast Personalization Pack drapes every weapon in a coat of fierce camouflage, three uniquely-shaped reticles, and an all-new animated calling card. Accelerate your multiplayer action with the Octane Personalization Pack. Fuel every firefight with a speedway-inspired camouflage pattern, race-ready reticles, and an all-new animated calling card. Download the Call of Duty®: Black Ops II Apocalypse Premium Theme, featuring Frost and Dig from the multiplayer offering, as well as Origins, an alternate-reality Dieselpunk Zombies experience that transports players to the undead-infested trenches of a World War I battlefield. Download the Call of Duty®: Black Ops II Vengeance Premium Theme, featuring Uplink, Detour & Buried, Treyarch's all-new epic Zombies chapter. The Extra Slots Pack increases the number of customizable Create-A-Class sets to 10 and expands media storage, allowing players to archive 20 more emblems, 32 more films and 40 more screenshots. Activision does not guarantee online media storage, will not provide refunds if stored media is lost or access to data is interrupted, and may discontinue online storage (or reduce such storage) at any time following one year from your purchase without notice. By purchasing, you agree to the above. Download the epic Call of Duty(R): Black Ops II Uprising Premium Theme, featuring Studio, Vertigo & the Mob of the Dead, Treyarch's most terrifying Zombies experience to date. Season Pass owners should NOT purchase here (go to the in-game store). 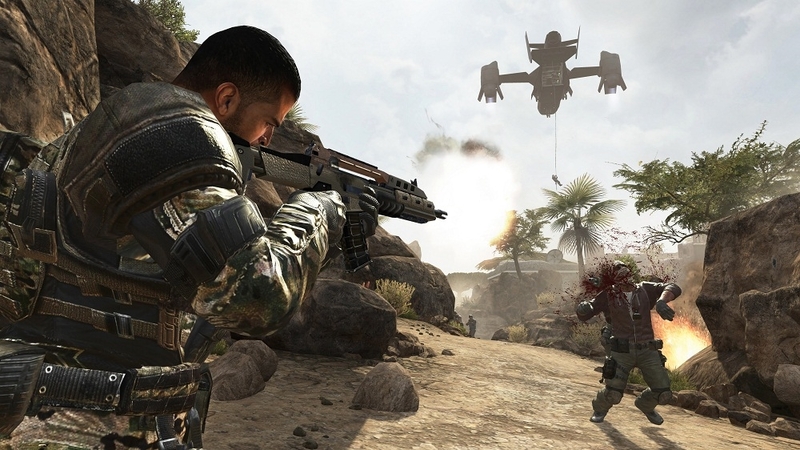 Call of Duty®: Black Ops II Revolution brings you 4 brand-new Multiplayer Maps: Downhill, Hydro, Mirage and Grind. You will also receive a bonus weapon – the Peacekeeper hybrid SMG-Assault Rifle. Revolution also introduces the brand new Zombies Co-Op Map, Die Rise, bringing a terrifying new twist that will turn your undead world upside down. And for even more zombie-stopping action, the new Zombies game mode, Turned, flips the battle around, putting players into the role of the zombie. Four mobsters find themselves trapped on the notorious Alcatraz Island. They soon find out though that they are not alone in the prison cell blocks. Chazz Palminteri, Joe Pantoliano, Michael Madsen, and Ray Liotta star in one of the most frightening Zombies experiences yet. 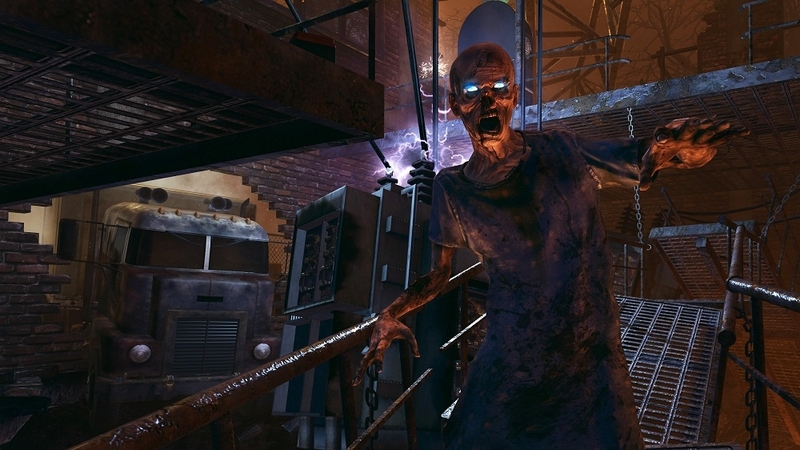 "Mob of the Dead" is included with Uprising, the second DLC Map Pack available for Call of Duty: Black Ops 2. 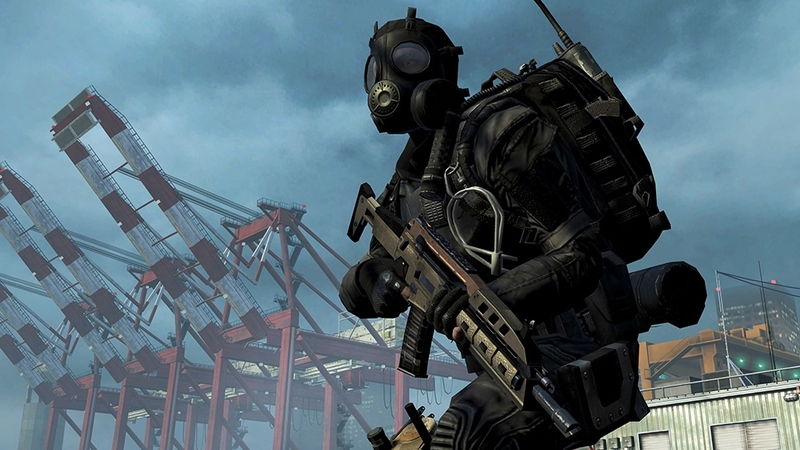 Uprising arrives first on Xbox LIVE on April 16th. Season Pass owners should NOT purchase here and instead download in-game. 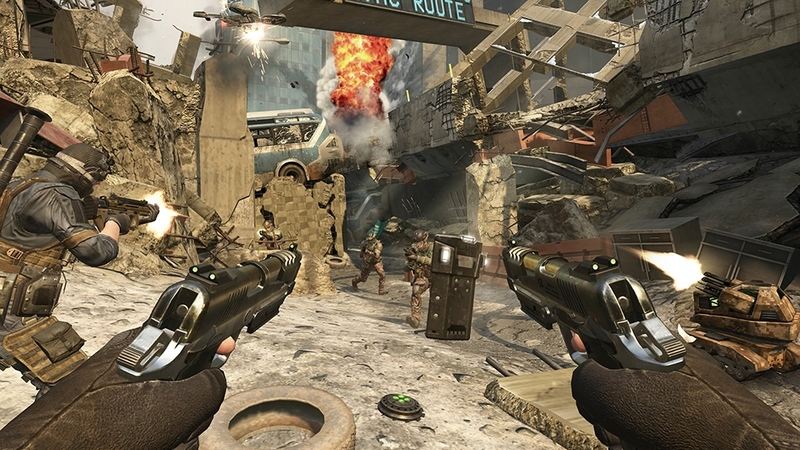 Call of Duty®: Black Ops II Uprising includes four incredibly diverse Multiplayer Maps: Magma, Encore, Vertigo, and Studio: a reimagined adaptation of the fan-favorite Black Ops multiplayer map Firing Range. 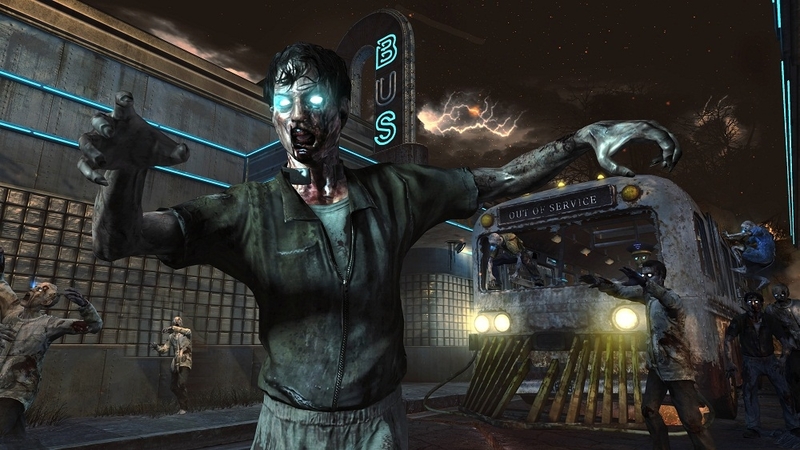 Uprising also introduces Mob of the Dead, Treyarch's most terrifying Zombies experience to date. Top Hollywood talent rounds out a cast of four Prohibition-era gangsters that are forced to fend off hordes of the undead while imprisoned on San Francisco's notorious Alcatraz Island. While guard towers and new weapons offer tactical advantages, survival offers an unprecedented new challenge for these four lost souls. Season Pass owners should NOT purchase here and instead download in-game. 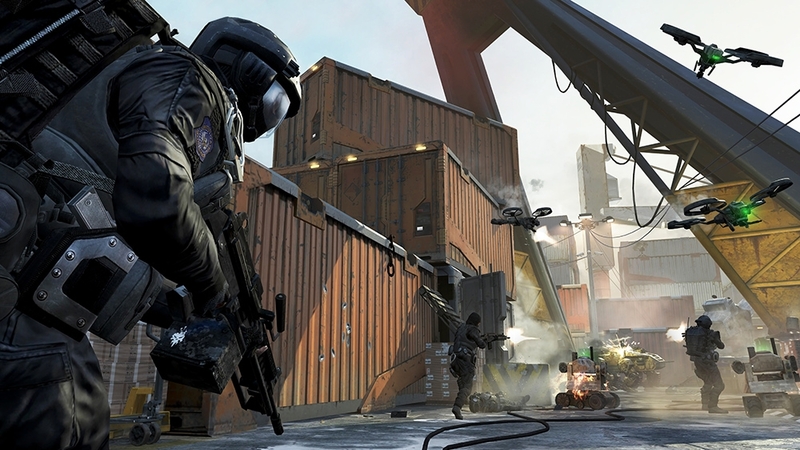 Call of Duty®: Black Ops II Vengeance comes fully-loaded with four new Multiplayer Maps: Cove, Detour, Rush, and Uplink: a reimagined adaptation of the fan-favorite Black Ops multiplayer map Summit. And in Treyarch's latest epic Zombies chapter, Buried, players will be challenged to face their deepest fears, trapped inside a long-forgotten subterranean Old West mining town infested with swarms of flesh-eating undead. 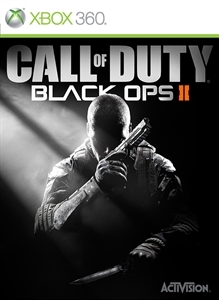 Call of Duty: Black Ops II Vengeance owners and Call of Duty®: Black Ops II Season Pass holders will also receive a brand-new bonus Wonder Weapon -the Ray Gun Mark II -available for use in every Call of Duty®: Black Ops II Zombies map. 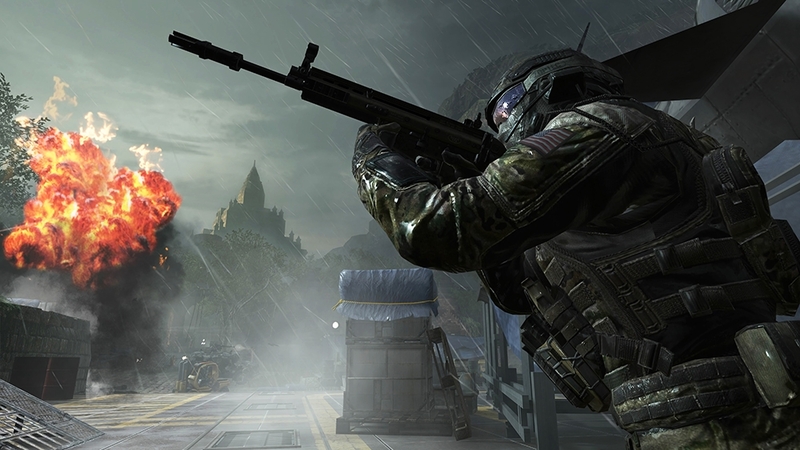 Call of Duty®: Black Ops II Apocalypse deploys with two all-new Multiplayer Maps and the return of two completely re-imagined Multiplayer classics. Origins, Treyarch's deepest and most imaginative Zombies experience yet, transports players to a Dieselpunk-themed First World War, returning the four original characters! Armed with an arsenal that includes Wonder Weapons that harness supernatural powers, a diesel-drone and Mark IV tank, as well a new perk machine and power-ups, our heroes will be challenged to fend off an infestation of undead that has overrun the war-ravaged French countryside and the ruins of a mysterious ancient civilization below it. Leave your international calling card with the North America Flags of the World Calling Card Pack, which includes national flag-themed Calling Cards from countries located in this region. Relive the close quarters chaos in a 1960s visionary depiction of the "Model Home of the Future". Inspired by the regal insignias of the Middle Ages, the Call of Duty®: Black Ops II Paladin Personalization Pack comes loaded with a Medieval-themed weapon skin, three uniquely-shaped reticles, and an all-new Calling Card.